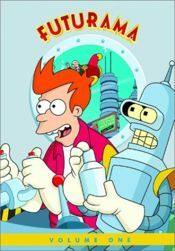 Volume One (Season One in Region 2) is the DVD boxset for season 1. Volumes one to four were re-released on 17 July, 2012. Each volume features new box art designed using the same art style used for volumes five and six. The new artwork for Volume One features Fry. There was going to be a featurette for every season. This was the only box set to be released before the show was canceled. This was the only box set to have three discs. This set has the least special features and episodes. This was also released on VCD and VHS. The VHS does not have any special features, except for deleted scenes and the featurette. ^ Nolan, Kyle (08 June 2011). 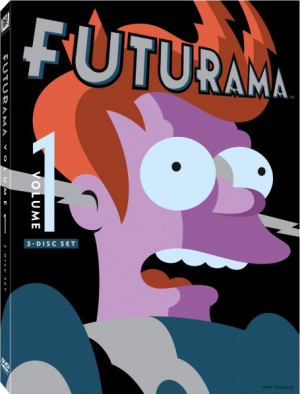 "Cool New Cover Art on FUTURAMA Vol. 1-4 DVD Re-releases". No(R)eruns.net. Retrieved on 13 June 2011. This page was last edited on 28 January 2014, at 19:39.